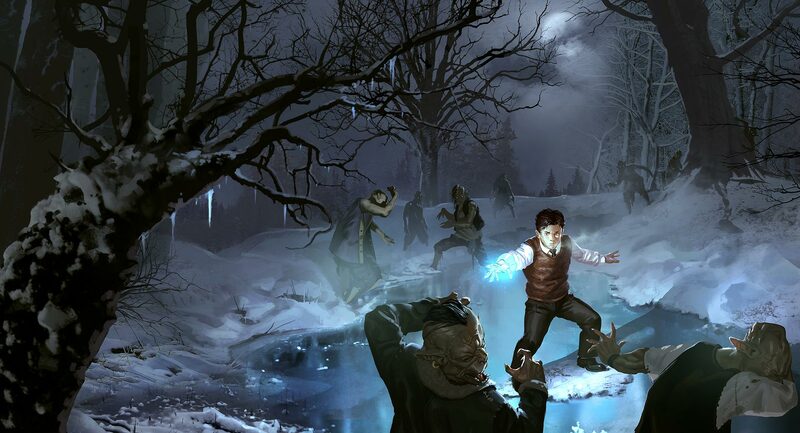 Artwork by Silviu Sadoschi from "The Boy In Winter's Grasp"
I’m not usually a fan of crime fiction. Or at least it’s not my ‘go to’ choice when deciding what I am going to read. Apart from a few Inspector Morse novels when I was younger and the inevitable John Grisham thriller (is that even crime?) I haven’t felt the urge to read them. I also tend to shy away from crime TV unless it has something else that really grabs me (a period piece, Oxford, that sort of thing). So I approached Penny Grubb’s ‘Like False Money’ with just a little trepidation. This little book packs a surprising punch. I picked up a copy as a way to see how I got on with Stuart’s writing before committing to his much larger fantasy trilogy, collectively called ‘A Seared Sky’. The Methuselah Strain (at least the lovely hardback copy I got from Fantastic Books) is only a hundred or so pages, so it seemed like a good starting point. A well written 'by the numbers' chicklet, with an unusual quirk and a positive message.